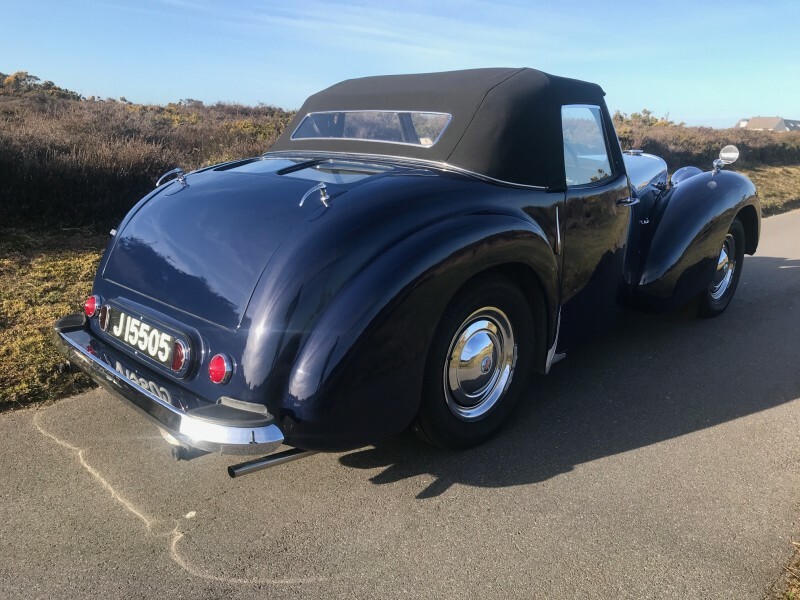 The Triumph Roadster was built by Britain's Standard Motor Company from 1946 to 1949, and was first available as the Triumph 1800 Roadster (18TR) from 1946 to 1948 and subsequently as the Triumph 2000 Roadster (TRA) from 1948 to 1949. 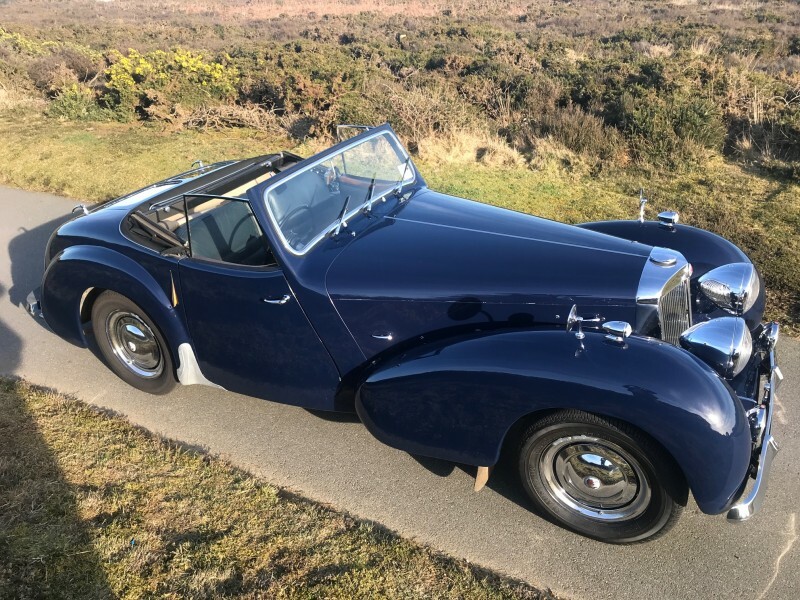 Thanks to its use by TV's fictional Jersey detective Jim Bergerac, few post-war classics are as instantly recognisable as the Triumph Roadster. 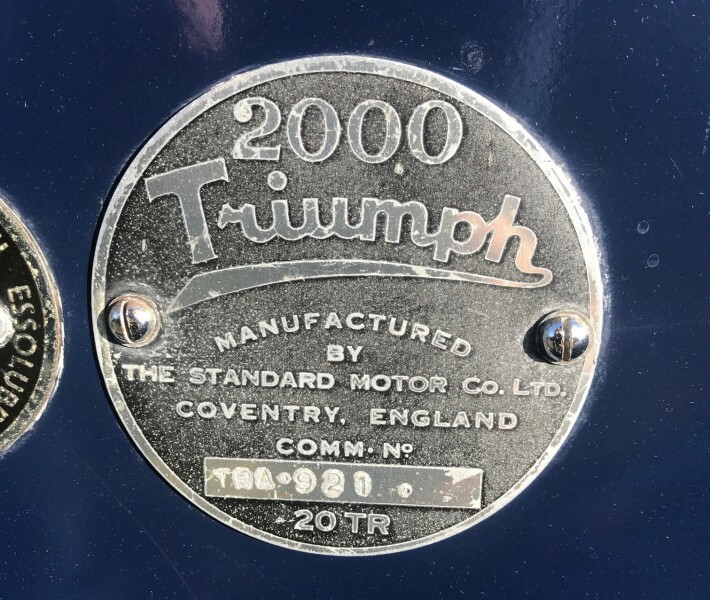 A landmark model in the history of the Coventry firm, the 1800 Roadster was one of the first post-war designs to bear the Triumph name. 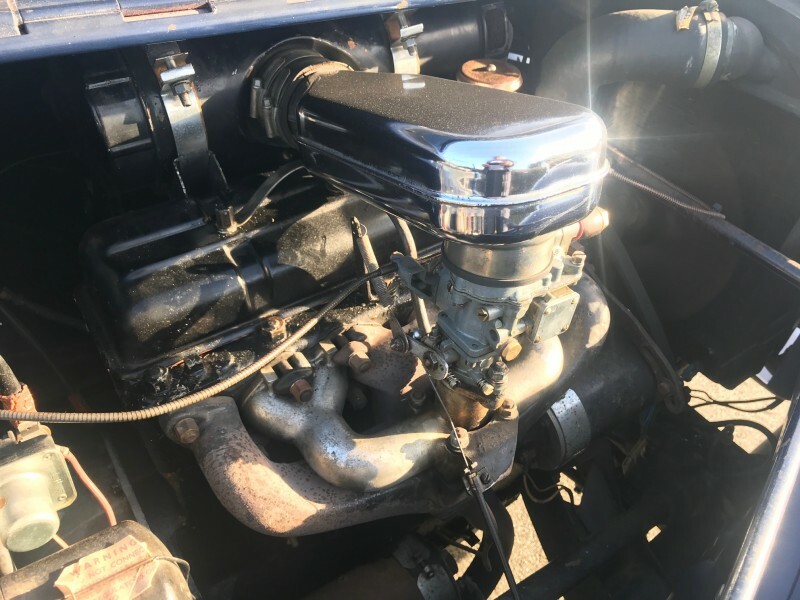 Standard was already supplying Jaguar with a 1,776cc overhead-valve engine and four-speed gearbox for the latter's 1½-Litre saloon, and these were chosen for the new car. 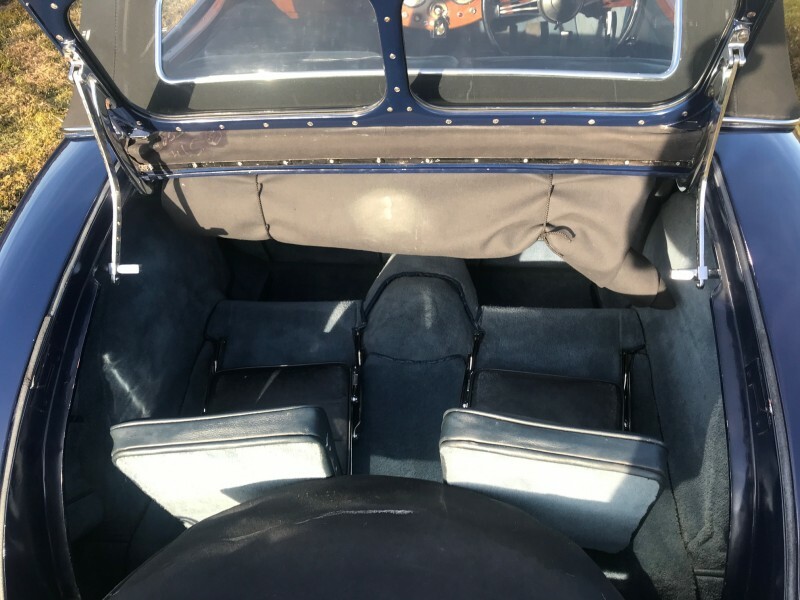 The chassis - an all-new design featuring independent front suspension - comprised two large-diameter steel tubes joined by cross braces. 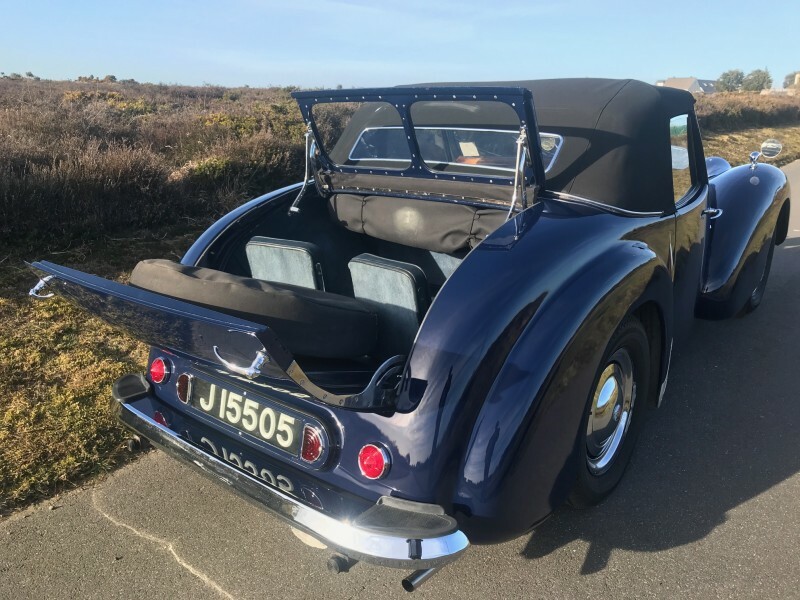 Styled by Standard's Frank Callaby, the Roadster's elegant alloy-panelled body was unusual in retaining the dickey seat that had been a feature of the pre-war Triumph Dolomite Roadster Coupé. 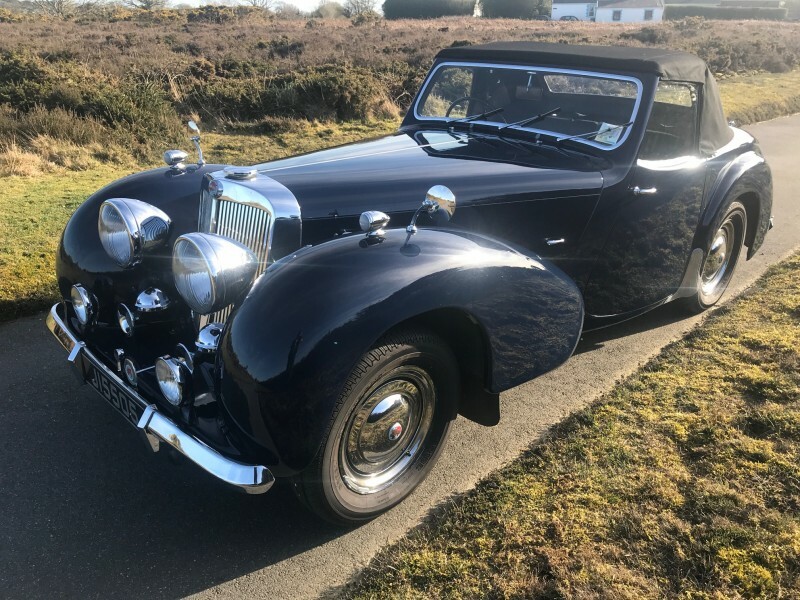 Launched in March 1946 alongside its sister car, the 1800 Saloon, the Roadster was not revised until 1948 when it received the 2.1-litre engine, three-speed gearbox, and rear axle of the newly introduced Standard Vanguard, which would also be used in Triumph's TR sports cars. 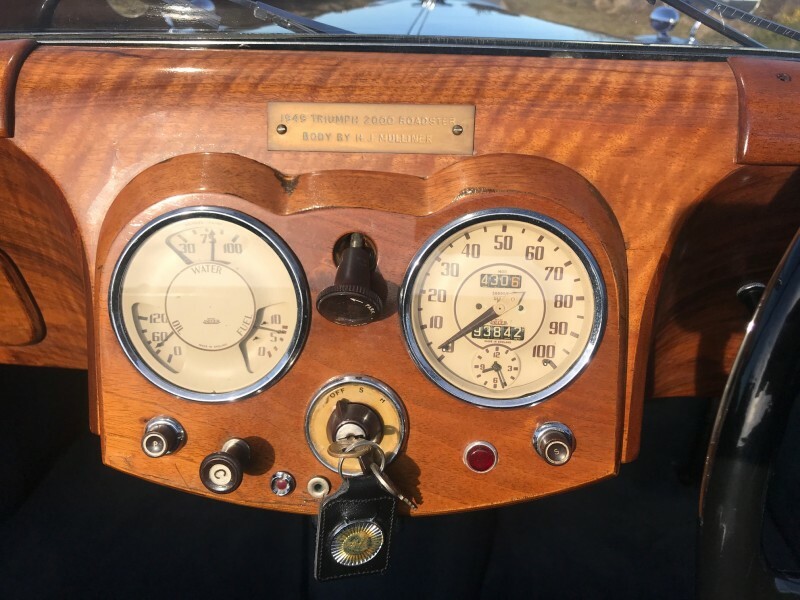 When Roadster production ceased the following year, a total of 4,501 of these charismatic cars had been built. In very good overall condition, having been recently recommissioned following a few years of inactivity, it is understood to have received an total restoration in the 1980’s First registered as GVB 734 on the 26th March 1949, this Triumph Roadster has been evidently well looked after over the years. 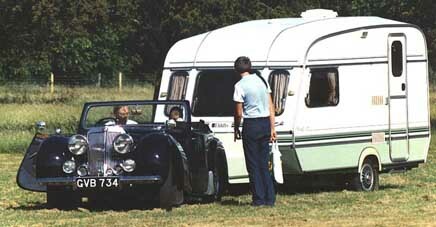 We are at present awaiting it’s earlier history, we have on file a photograph from probably the 1970’s showing it towing a caravan, together with an assessors report in 1984 at 74344 miles describing the car as being in very good condition, with particular mention that the condition of the mechanical components impressed the assessor. 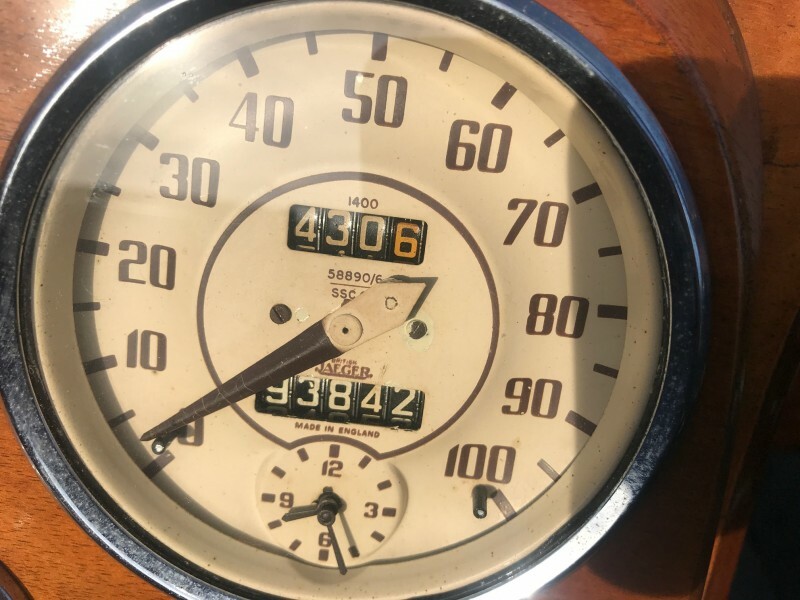 The Roadster has covered some 19000 miles in the last 35 years, and has been kept in the same condition, as recent invoices totalling in excess of £4000 will confirm. 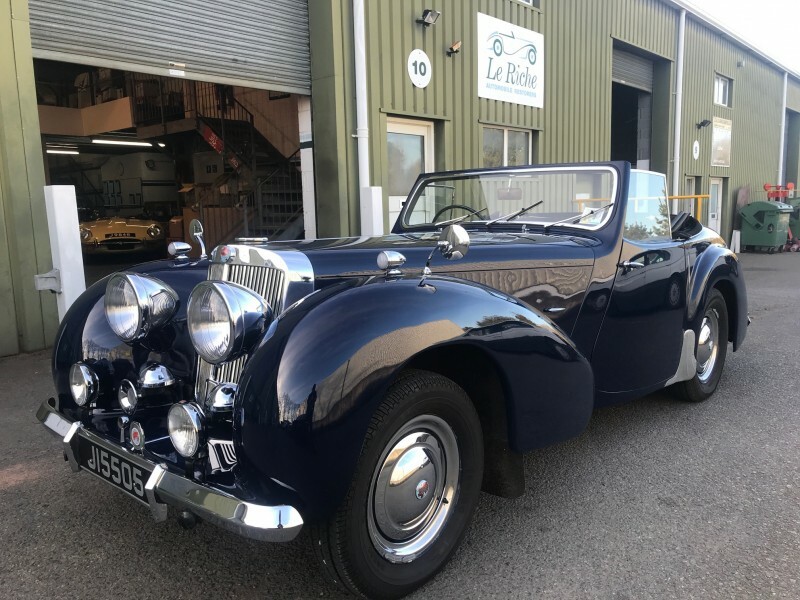 The car presents extremely well in it’s Royal Blue coachwork, it has a mellowed appearance bought about by some years of polishing. 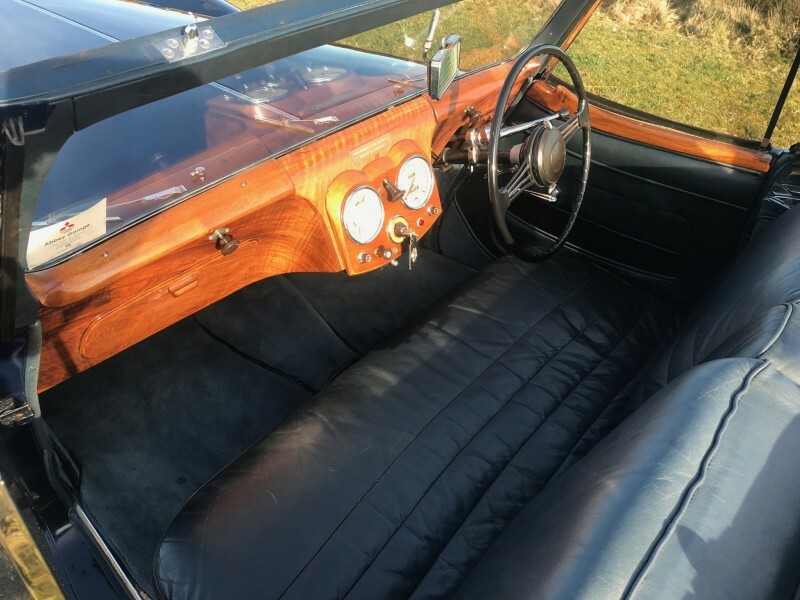 The interior and hood are in very good condition the leather interior being free of any rips or tears. 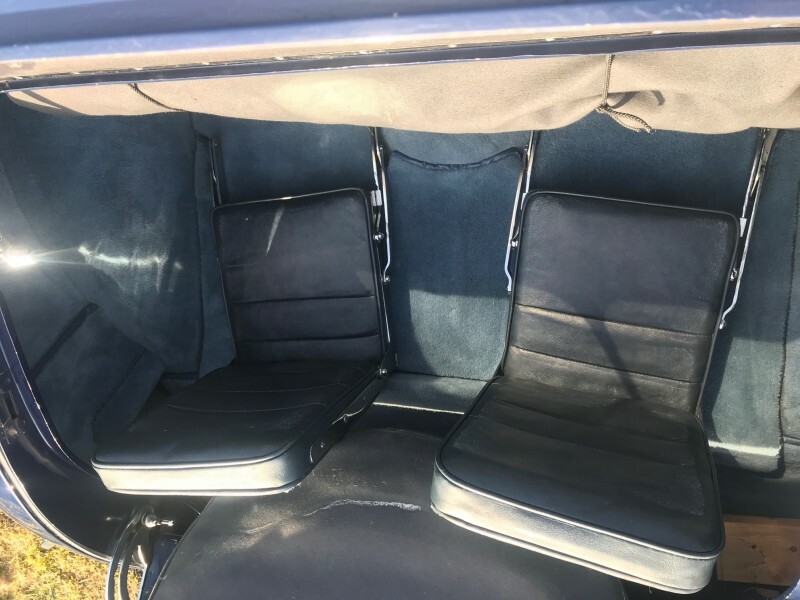 The interior and hood are in very good condition the leather interior being free of any rips or tears.